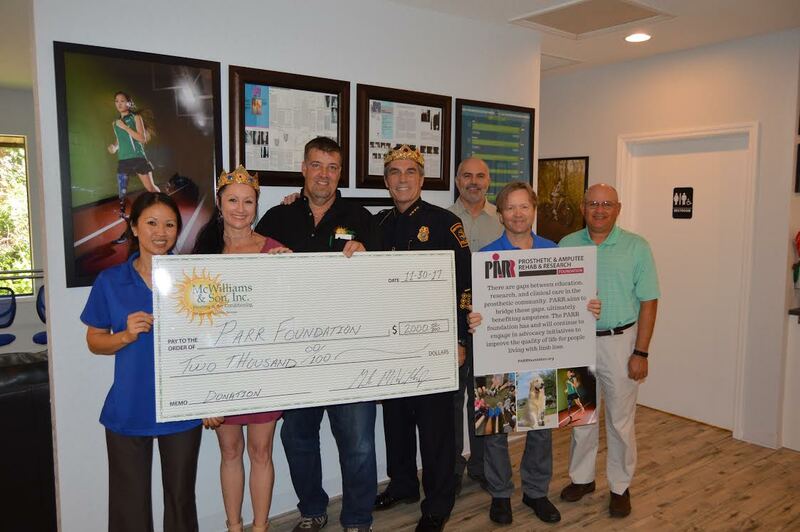 The PARR Foundation is honored to have been chosen by Pasco County's King Pithla and Queen Chasco to be a recipient of their Royal Dinner fundraising efforts. Those efforts resulted in a very generous donation of $2,000.00 by Mr. Gil McWilliams of McWilliams & Sons Inc. Heating & Air Conditioning. Gil's donation is in honor of his late father who was a double lower-leg amputee. This donation will enable the PARR Foundation to continue with their goal of bridging the gaps between education, research and clinical care in the prosthetic community.